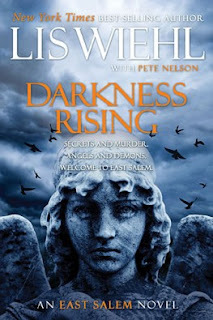 I have had Lis Wiehl's first book, Face of Betrayal on my radar since it was originally published. Unfortunately, I was never able to get it read, but recently was offered the opportunity to read the second book in the author's East Salem Trilogy, Darkness Rising as an ARC. 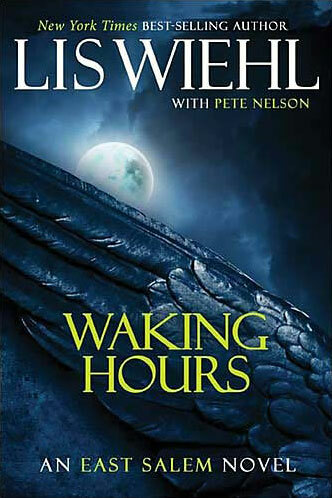 Of course, that lead me to read Waking Hours first, and I am so glad that I did. This trilogy is definitely on my Highly Recommended list of series for those of us who love a good thriller. In the first book of the trilogy, a girl is murdered in upscale West Chester County, New York after attending a party at one of the student's house. From there, the story becomes a mystery/thriller of the best kind. Along with the two main protagonists, who eventually band together to try to solve the murder, there is a whole host of interesting characters to capture the mind of the reader. Even better, as the story progresses, we find that many of them are not as they appear on the surface. I loved this aspect of the book and it definitely enhanced the mystery/thriller aspect of the book. My favorite part about this book, aside from the fact that it was a first rate thriller with lots of turns and twists, was the interplay between the two main protagonists. I don't mean the underlying romantic attachment that they seem to have, although that is a well done aspect in itself. Dani Harris is a forensic psychiatrist that looks at everything with a cool, clinical eye. Ex NFL Linebacker Tommy Gunderson, however, sees life in a less "rational" way, where the logical and real are mixed with things that science cannot quite explain. It is in the contrasting of these two styles of looking at the crime that I feel is the author's best contribution to this story. As for the plot of the book, here again, Lis Wiehl scores. The plot is deftly woven and well paced. In addition there are twists and turns, some of which I saw coming, some of which hit me out of the blue. There were even a few "red herrings" to lead the reader temporarily down a path leading away from the truth. Another plus is the way the author was able to end the book, solving the murder, but making it apparent that the story was not over and leaving the reading definitely wanting more. I could not wait for the next installment and was glad that it was sitting on my Nook, ready to read. Then it was on to the second book in the trilogy. In this book we again find the main characters of Dani Harris and Tommy Gunderson. In addition, we also get more of some of the other characters that I grew to love. In fact, several of the best ones play bigger roles in this book, such as Tommy's aunt, his spiritual adviser Carl, and a few of the other characters from the first book. As the book begins, we become aware that, although Tommy and Dani solved the murder in the first book, their job is not over. In fact, in solving the murder they uncovered a darker plot that needs their attention. This plot is the center piece of the second book. As the story unfolds, not only are Tommy and Dani faced with difficult decisions, but several of their friends and acquaintances are being drawn into the story more fully. Many times in a series where the first book is a five star read for me, the second book does not live up to that level. In this case, though, Lis Wiehl has another definite hit on her hands. I was excited to see that this book continued with the combination of the elements of a first rate mystery/thriller and the elements of the supernatural that where so successfully woven together in Waking Hours. In addition, I was fascinated with the historical elements that were included in this one as I love history in any form. To have an author combine local history so successfully with a riveting thriller story line was part of what made this book a big hit for me. Another of the enjoyable parts of the story was the ability to weave supernatural elements into the story without resorting to the "they live among us" story line that is so common these days. Not that I don't like that story line (I am a big fan), but it is refreshing and delightful to see an author approach the supernatural from a different direction. In fact, I would class this book as more of a mystery/thriller with a definitely "evil" twist than a supernatural mystery/thriller. However you class it, though, it works! As for the character development in this installment of the trilogy. Dani and Tommy continue to grow as characters, but, thankfully, in the end Dani is still Dani and Tommy is still Tommy. They are still looking at things from a very different perspective, which was one of the things I most enjoyed about them in the first book. I was excited, though, to see that some of my other favorite characters from the first book (Carl and Tommy's aunt, to mention two of them) got to play bigger roles as the story continued. In addition, I was able to find some new favorites among the characters that were introduced in this book, like Quinn. The inclusion of his character gave the author a chance to delve more fully into the workings of the human brain from the scientific viewpoint, which she did without talking over the reader. Once again the ending of this book left me both satisfied with where I was in the story, and wanting more. I am excitedly waiting for the third book. Unfortunately, it has a publishing date of September 2013, as I would love to read it now. 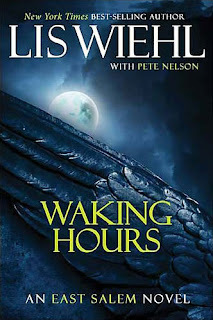 After reading the first two books in the East Salem trilogy, I can proudly say that I am a definite fan of Lis Wiehl and look forward to reading some of her other mystery/thrillers while waiting for the third book in this series. I give both books in this series 5 out of 5 stars based on my feelings that the characters and story were first rate, and on the level of enjoyment I had in both the reading , and trying to guess what the end result would be. 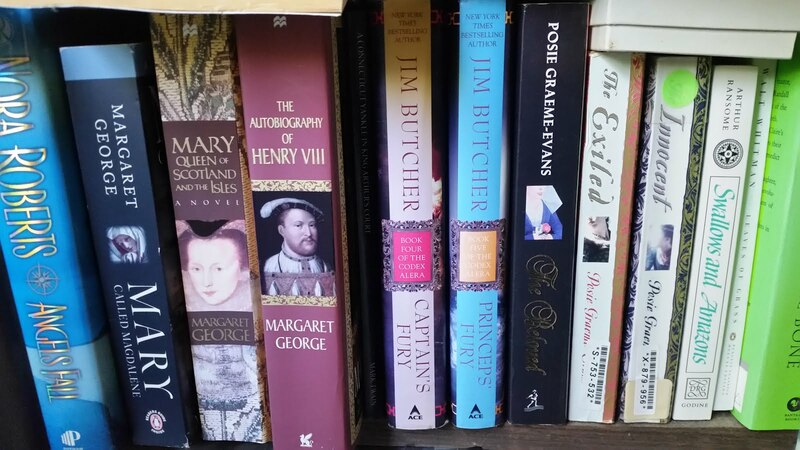 In fact, I have already recommended both books to several of the people in my reading circles and those that have read them loved them as much as I did.